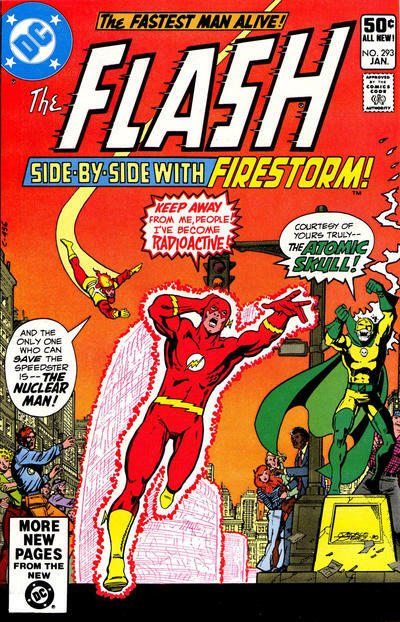 At the time he began working on the higher-profile revival of The New Teen Titans, Perez was already quietly illustrating a back-up feature in The Flash, starring Firestorm. 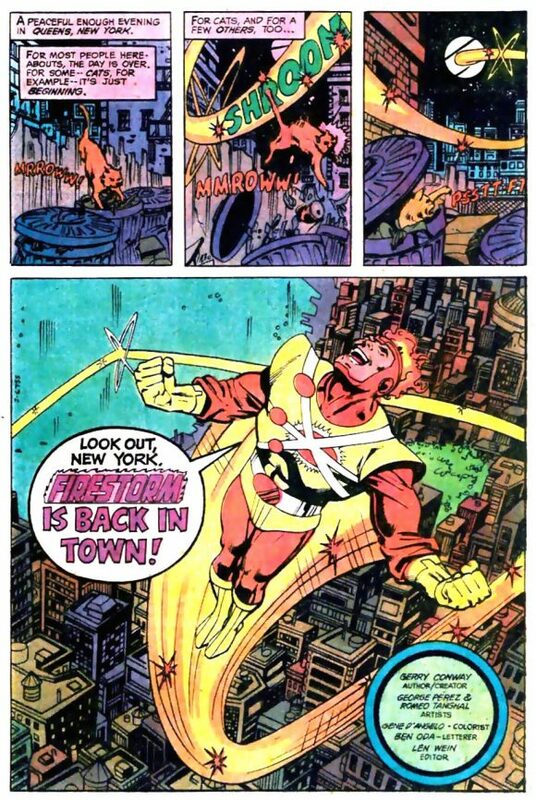 Fresh off his stint as a newly minted member of the Justice League, it was Firestorm’s first time headlining a series since his original five-issue run ended with the DC Implosion. Although Perez’s period on the back-up lasted only five issues, he helped to make the Nuclear Man a star worthy of his League status — and he and writer Gerry Conway would continue to develop ol’ Matchstick during their time together on JLA. — Anthony Durso. NEXT: The #10 Pick… click here. I did not know that Perez worked on the Firestorm back-up in The Flash! Whoa!